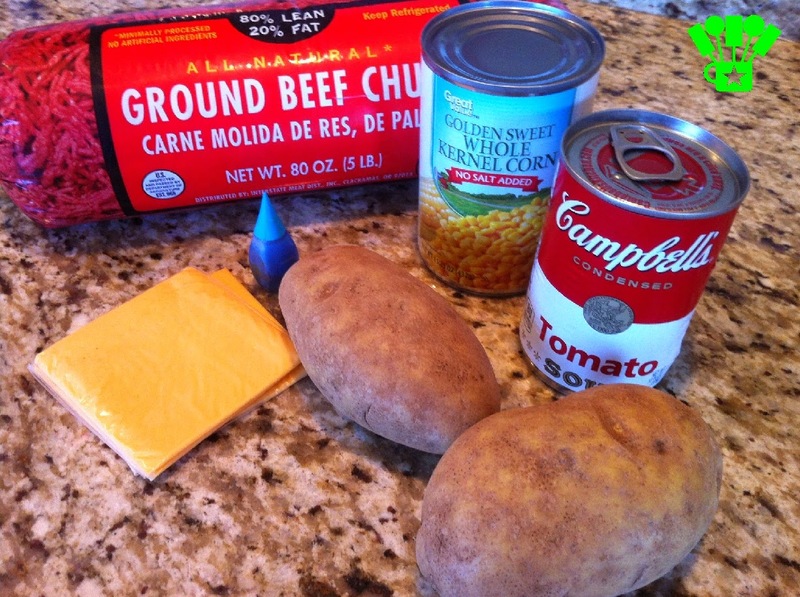 For our Father’s Day Superhero party, I’m making a Shepherd’s Pie in superhero colors to bring a little BAM! POW! and WOW! to the table. It’s perfect for our little party since my kids love this casserole, it’s easy to make, and it has the perfect coloring to give my dinner a little bit of red, yellow, and blue. 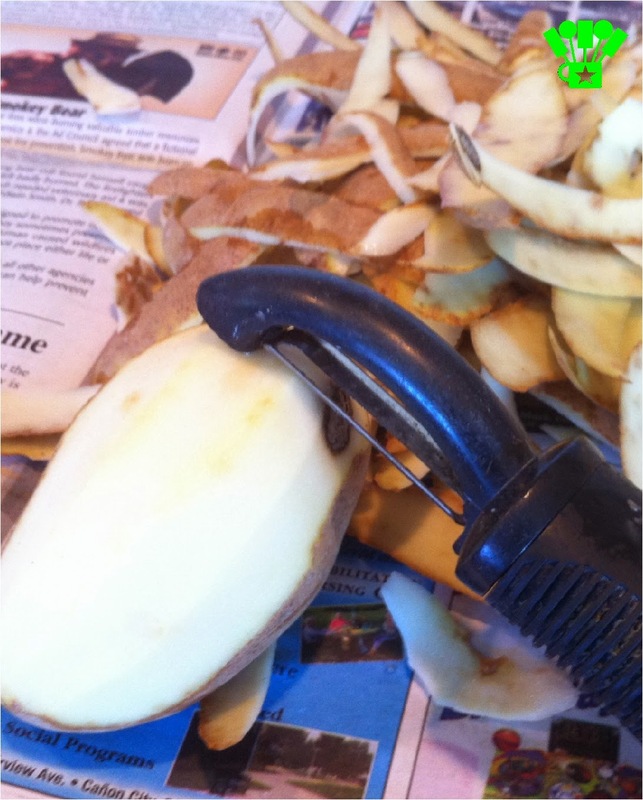 Start by peeling your potatoes to make mashed potatoes. Cube the potatoes and boil them for 20 minutes. While the potatoes are boiling, brown your hamburger. Add 2 cans of tomato soup and mix well. 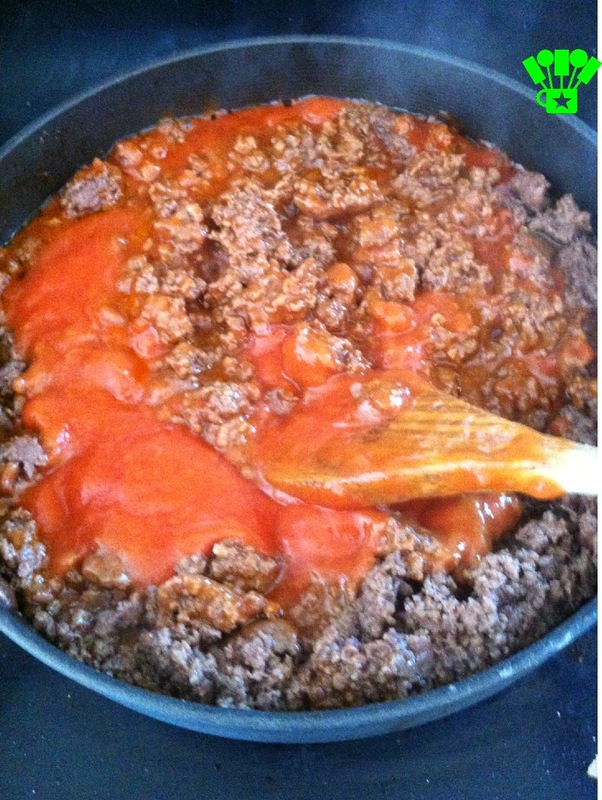 Pour the meat mixture into the bottom of a 9x13 inch casserole dish. Drain and then add the corn to the top of the meat mixture. 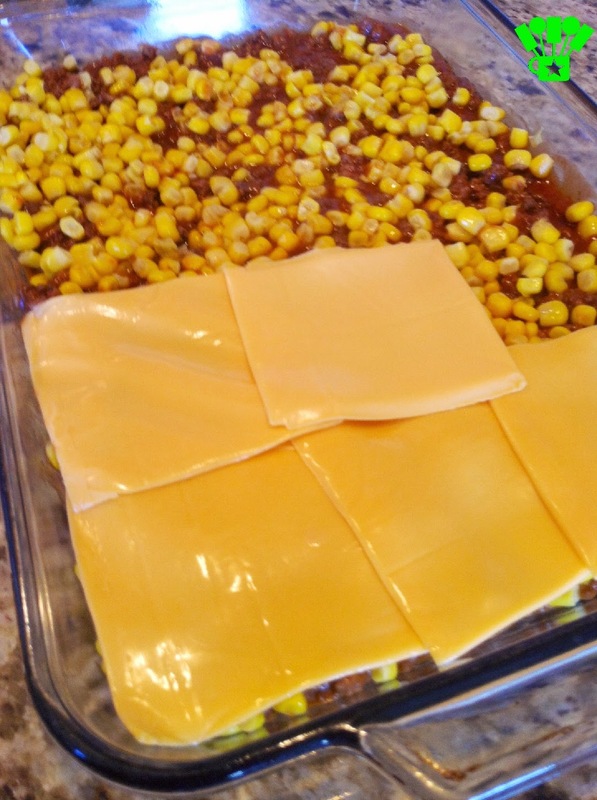 Spread it out so it covers the entire casserole. 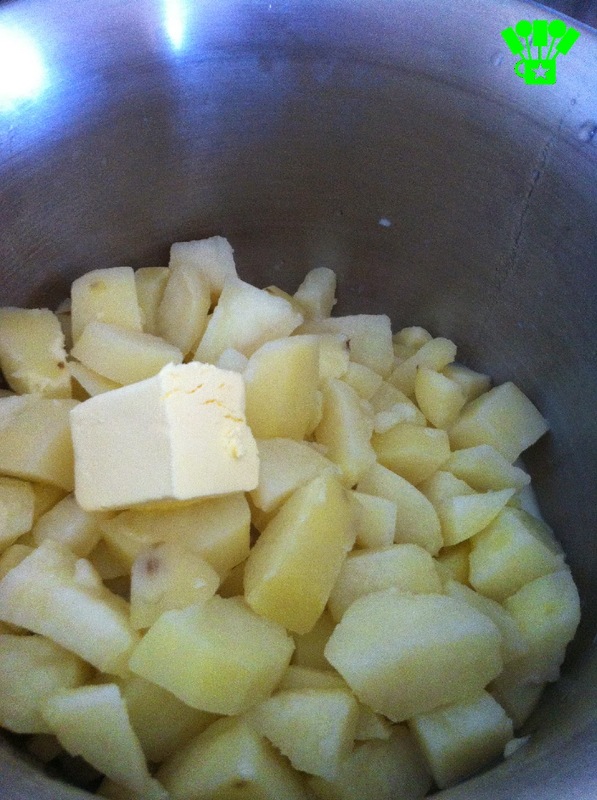 By now your potatoes should be soft enough to drain and add to a mixing bowl. Add butter and milk. Mix potatoes. You want your potatoes to have a smooth consistency so they are easy to spread. 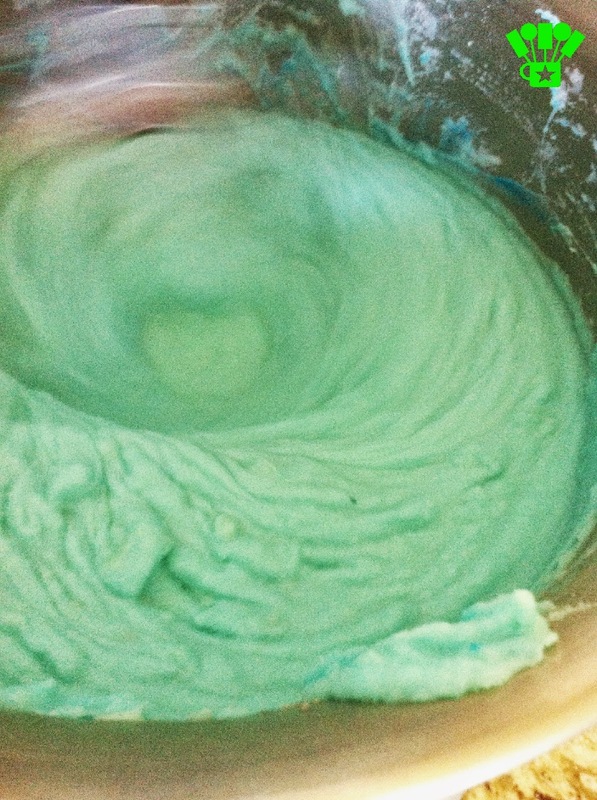 Add blue food coloring to your potatoes until they are a nice blue color. Spread the potatoes on top of the cheese and corn layer. 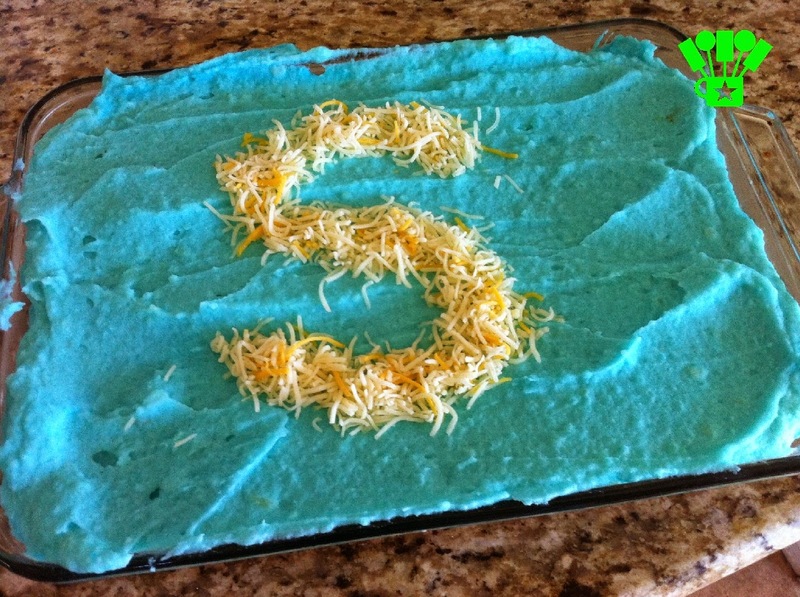 I used some shredded cheese to make a super "S" on the top of the blue. 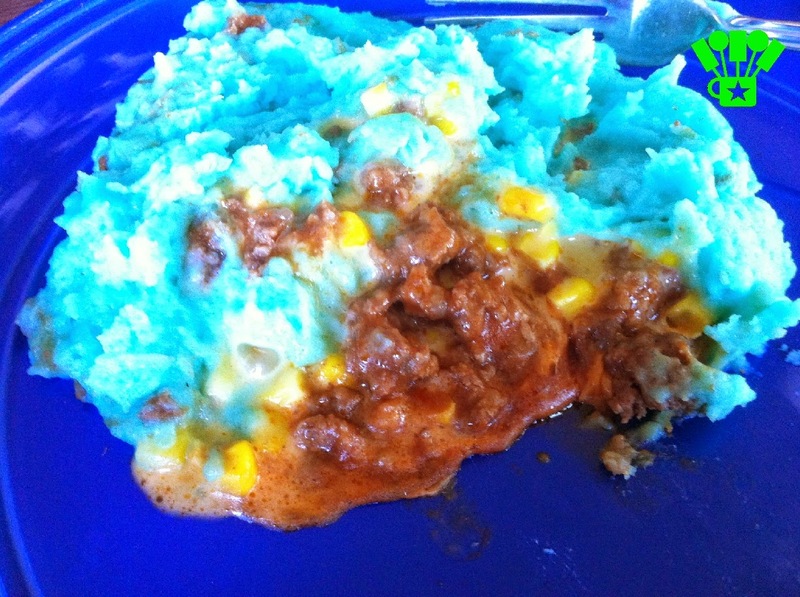 Now my shepherds pie has my red, blue, and yellow party colors! Bake your Superhero Shepherds Pie at 350 degrees for 15 minutes. 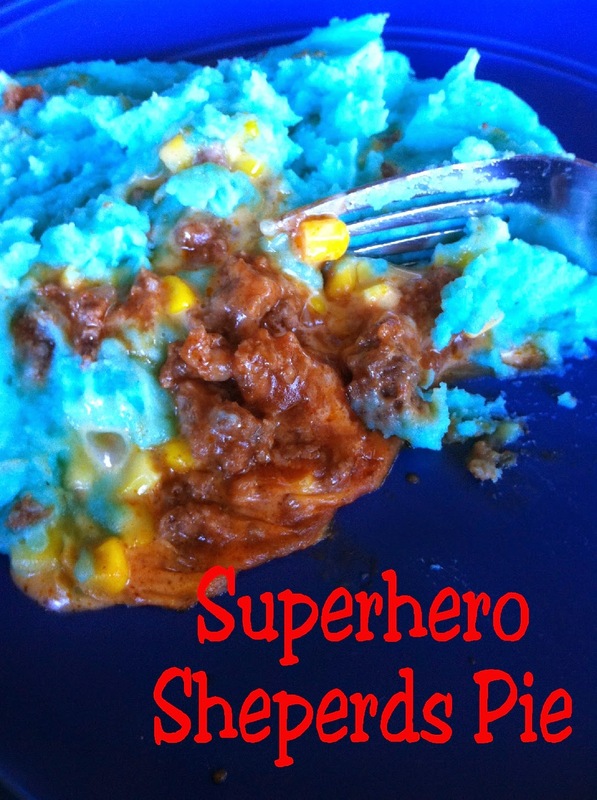 Enjoy your Superhero pie and its amazing powers to keep your kids happy and your stomachs filled!